Free open air photo booth for your next event! Meridian Studios is proud to introduce Meridian Studios Charities. We are giving back to our community by offering free Open Air Photo Booth service, "Selfy Stand" to non-profits. If you are hosting a fundraiser contact us to learn more about Meridian Studios Charities. In the Image to the I am set up in the WeWork Office. 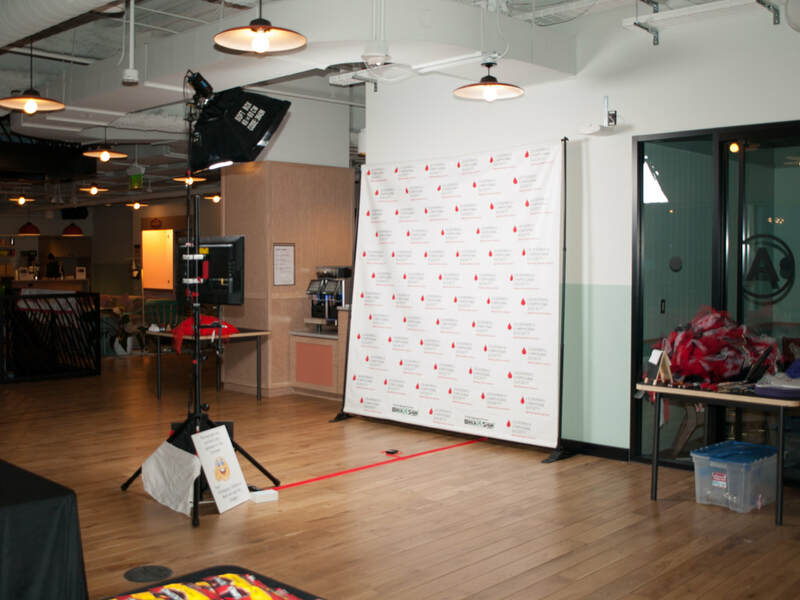 WeWork oped there space for the L​eukemia & Lymphoma Society's Big Climb Fundraiser. At this event I took 8 feet of wall space for the back drop and the Selfy Stand was 11 feet from the wall. 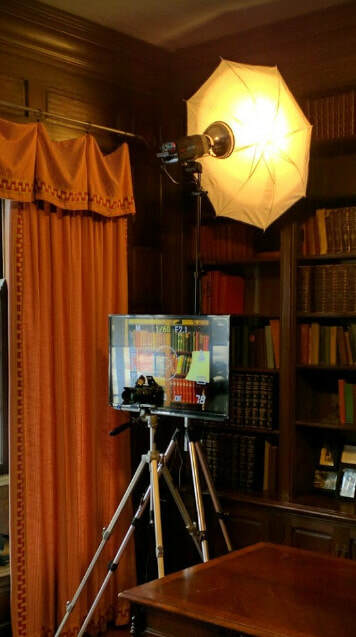 In the image below, we set up in Dr. Henry Plummer's office, at the Historic Plummer House. Dr Plummer is one of the three founding members of the Mayo Clinic. The Image above is also in the WeWork Office. At this event I took 8 feet of wall space for the back drop and the Selfy Stand was 11 feet from the wall. If you are interested in having a custom banner like the one above contact Star Banners. They have the option of Fabric Banners instead of vinyl. We use studio lighting so we do not have to worry about reflections from the vinyl banners. However if you ever do a "step and shoot" and your photographer is using "on camera flash" there is a good chance the flash will wash out your logo. This will not be an issue with Fabric banners. Fabric banners start at $225, and Star Banners also offers the stands.